​Saturday 7th July saw more than 30 representatives from our Province, including RW. Bro. Archie Torrance - Provincial Grand Master, VW. Bro. David Green - Deputy Provincial Grand Master, VW. Bro. Fred Brown - Assistant Provincial Grand Master and W. Bro Ian Gallehawk - Assistant Provincial Grand Master, travel to the Epic Centre in Lincoln to attend the celebration of the 150th Anniversary of the founding of the Mark Benevolent Fund, hosted by the Provincial Grand Master for Lincolnshire, RW. Bro. Revd Trevor John Walker. 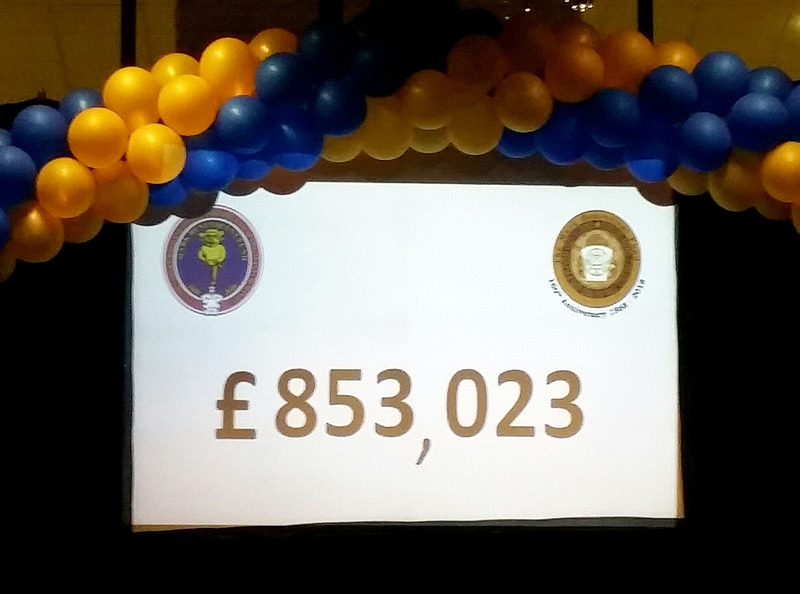 Huge congratulations must go to the Province of Lincolnshire for their magnificent achievements in raising the wonderful sum of £853,023 for the Mark Benevolent Fund during their Festival. The Festival President, RW. Bro. Walker was "Astounded by the generosity of the Brethren and ladies of his Province. Donations came in from worldwide, from the Craft and Royal Arch as well as many other Orders represented in Lincolnshire." He continued "The Mark Degree and its many friends came together once again for the benefit of those in need of a helping hand." A great deal of detail went into the whole Festival Finale Weekend with plenty of time set aside for visitors to explore the historic city of Lincoln. There was even the option of a Lincolnshire Aviation Heritage Tour, which included The East Kirkby Aviation Heritage Centre, a family run museum widely seen as a living memorial to the 55,500 men of Bomber Command who lost their lives during WW2. In the evening, the black tie celebrations commenced with a reception including a complimentary glass of sparkling wine, followed by a four-course banquet with wine, culminating with a sumptuous Lincolnshire Cheeseboard. As we approach the final push towards the closing stages of our own 2020 Festival, in two years time at the spectacular Maidstone Exhibition Hall, on the Kent Showground, in Detling this wonderful weekend gave our own team much to think about as well as some interesting ideas.